Extreame Savings Item! 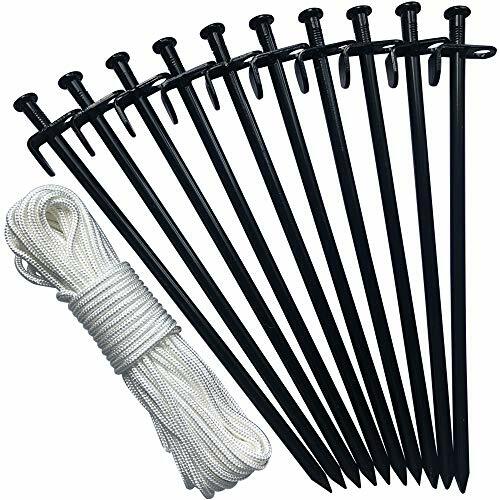 Save 43% on the Eurmax Heavy Duty Steel Tent Stakes Tarp Pegs Solid Stakes Footprint Camping Stakes for Outdoor Trip Hiking Gardening, 10 Pack by Eurmax at The Net Stores Network. MPN: 7.16Gun stakes. Hurry! Limited time offer. Offer valid only while supplies last. This high strength tent stakes are suitable for nailing tents, canopies, tarps, and etc. to the ground. Perfect for outdoors camping and backpacking. This high strength tent stakes are suitable for nailing tents, canopies, tarps, and etc. to the ground. Perfect for outdoors camping and backpacking. Heavy duty steel stakes with strong toughness that is hard to deform and break, shows a strong ability in withstanding the great impact force, protect your tent from fierce wind and hard stone.